Crate training a puppy starts when you bring your Bichon Frise puppy home. It is not difficult, but you will need to be consistent and disciplined. Your dog’s crate for housebreaking should be just large enough for him to lie down and turn around. This dog crate has a divider that can be removed when your dog is housebroken. Many metal crates come with “life stages” barriers or removable dividers that allow you to make the inside smaller or larger. This type of dog crate is nice in that you can remove the divider as your puppy grows, to give him more room to move around. The dog crate in the photo above is an example of this type of crate. 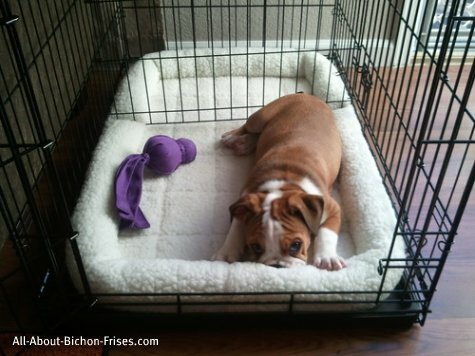 Now that you have your crate, you need to establish a feeding, walking and playtime schedule. 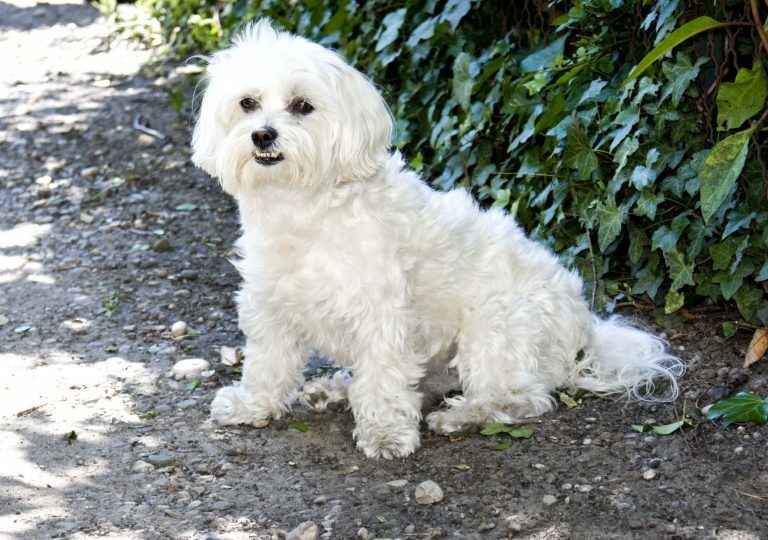 First thing in the morning take your Bichon Frise out of his crate and directly to the area where you want him to urinate or have a bowel movement. You can get your pup to respond to commands like “go potty” if you use the same command every time you take your dog out. Reward him with lots of praise and attention for each success. 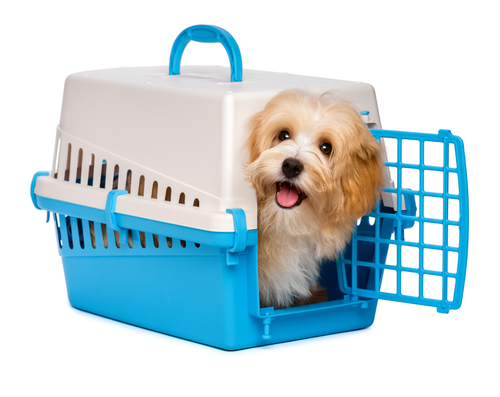 Initially, when crate training a puppy, your pet will spend more time in the crate, than out of it. 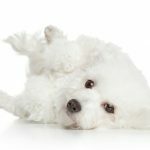 This isn’t an issue because young Bichons need to nap a lot while they’re growing. Every time your puppy awakens from a nap, take him outside. 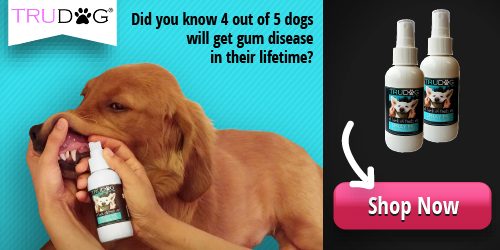 Your puppy will also need a walk shortly after eating or drinking (about 15 minutes later). Praise successes lavishly, as this dog breed responds very positively to a warm, excited human voice. Keep a chart of when your pup relieves himself so you get to see trends for when he does his business. This cute happy reddish havanese puppy is quite content in his travel pen. Your dog will learn to love his crate, too. 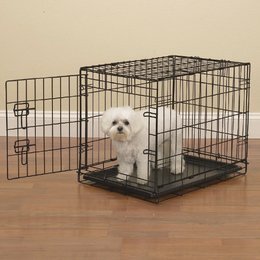 Besides establishing a routine, you need to make the crate a place that is welcoming to your pup. Toss a piece of kibble and one of your dog’s toys into the crate, before shutting the door. Initially he may cry when you place him in his crate. When he settles down, reward him by opening the crate and giving your puppy a good cuddle. This way you reinforce positive behavior in the crate. Note that if your Bichon Frise isn’t an avid chewer, you can also put a towel in the crate that smells like you (sleep with it at night beforehand). Not only does this make the crate more comfortable but it also helps you bond with each other. Your Bichon Frise will be ready to sleep in the crate overnight, after about 3 months of training. Before that, you must take him out every few hours and do your best to give the pup adequate attention and exercise. Bichon dogs do not like being alone. Too much time in the crate or without his human companions can lead to frustrating behaviors that you’ll have to break later. Once your puppy is potty trained, you can simply leave his crate open during the times when you’re home and attentive. You will find that he’ll naturally go into it when he wants to sleep. His crate will become a comfortable place where he feels secure. For more tips on successfully house training your dog see great tips for house training your puppy with little effort.